In the early stages when the founder Tamotsu Isamu started Renshinkan, Yuzo was born in 1957 as the third son and grew up along with the development of Renshinkan. 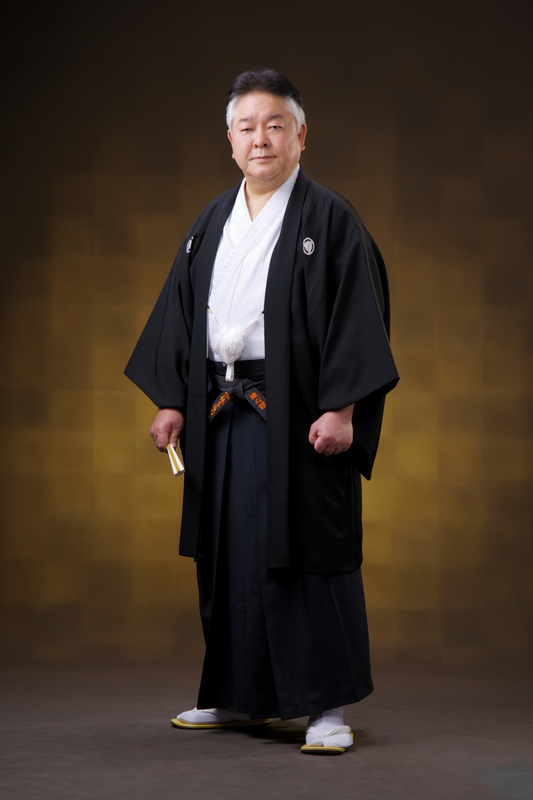 He strove to obtain the skills and technics directly from the founder and Soke the second, achieving the energetic initiatives as a supervisor at Chuo Branch, Seiryo Branch and Minami Aira Regional headquarters and took a lively part in producing many talented Renshinkan athletes in Kagoshimaken Renmei. In the nationwide tournaments for years, his brilliant and sparkling performance called “Shorin Kongo Johjutsu” fascinated the participants and was highly admired as a flower of the tournament. Yuzo’s atmosphere of a lot like the air of perfect composure of the founder, his gentle and grave personality will be sure to enjoy the confidence of many followers as a new grand master. His son Yutaro is a well-known performer of Kata whose skills are accomplished, having ever gotten awards many times as a champion and is now a player on the active list. They are often compared to father-child falcons. In 2017, Tamotsu Yuzo was granted 10th grade by Chairman Masaki of All Japan Shorinjiryu Karate Do Renmei and at the same time he succeeded to Soke the third at Sohonzan Bugakusha. Respecting and honoring the founder and Soke the second as his grand masters, Tamotsu Yuzo has dashed forward for the continuous Shorinjiryu Karate Do Renshinkan as a successor of the Authentic Shorinjiryu Karate. 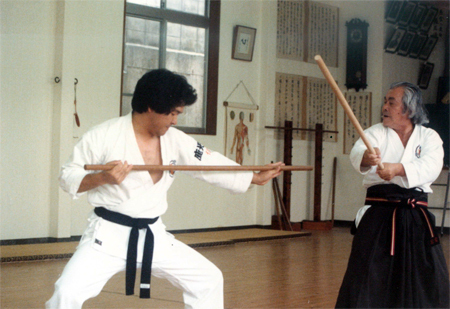 Younger days of Soke having a training with the Founder.